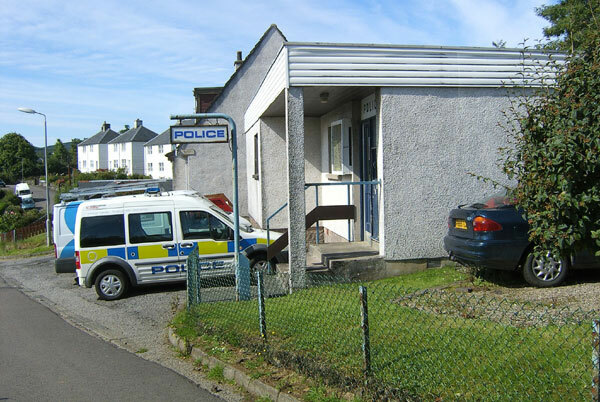 Police Station | Tobermory Isle of Mull Police Station, Tobermory, Isle of Mull, Argyll. PA75 6PY. The police station is situated at the top of the town, on the way to the golf course. The station is open during most working days and normal working hours. Co-ordination is via Oban and often the phone is diverted there for action. The police office is not manned 24 hours a day..
call police scotland 101, and in an emergency call 999.